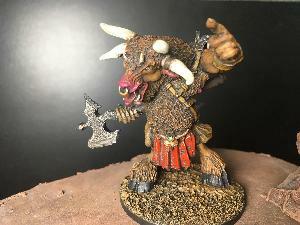 Contest: Win the Horned Lord Painted, Unpainted, and Paints. Win the Horned Lord Painted, Unpainted, and Paints. Prize: Win the painted and unpainted mini from Pacesetter Games & Simulations. The paints are from Vallejo Paints. Statistics: This contest was opened by 146 and entered by 5 ContestChest.com members. 3% of those who opened the contest, entered it.